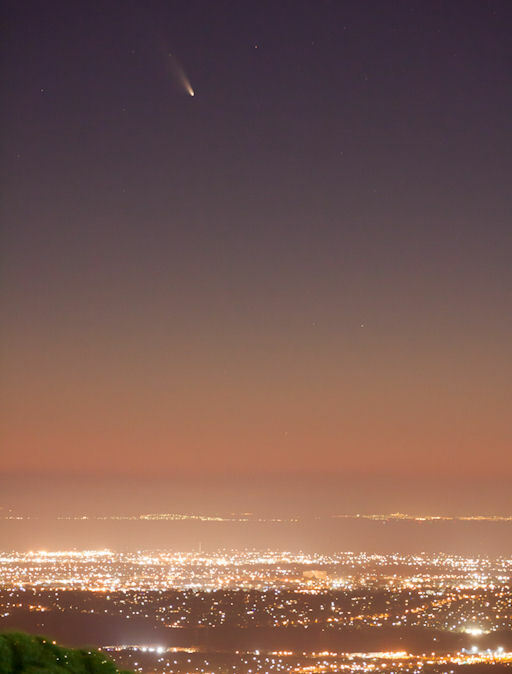 “Despite bad light and smog pollution, the comet’s nucleus was clearly visible to the naked eye as well as a small part of the tail,” says Gruber. Light curves show the comet is approaching 2nd magnitude, about as bright as the stars of the Big Dipper. Several important dates are approaching. On March 5th, Comet Pan-STARRS makes its closest approach to Earth (1.09 AU), followed on March 10th by its closest approach to the sun (0.3 AU). As Comet Pan-STARRS passes the sun, solar glare will make it difficult to see even as the nucleus vaporizes and brightens. 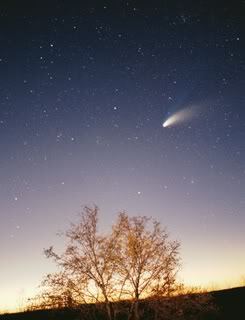 By March 12th and 13th, the comet will reappear in the sunset skies of the northern hemisphere not far from the crescent Moon; think photo-op! Check the realtime comet gallery for the latest images.